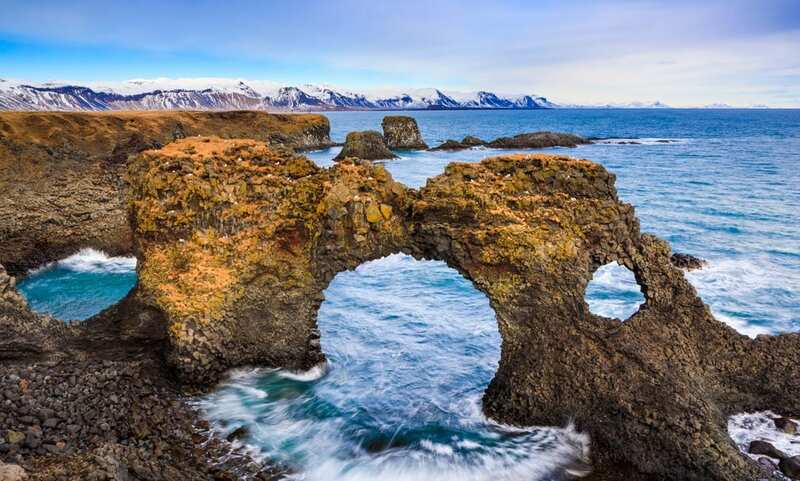 This nine day trip showcases the best of West Iceland combined with unique activities and stunning sights. 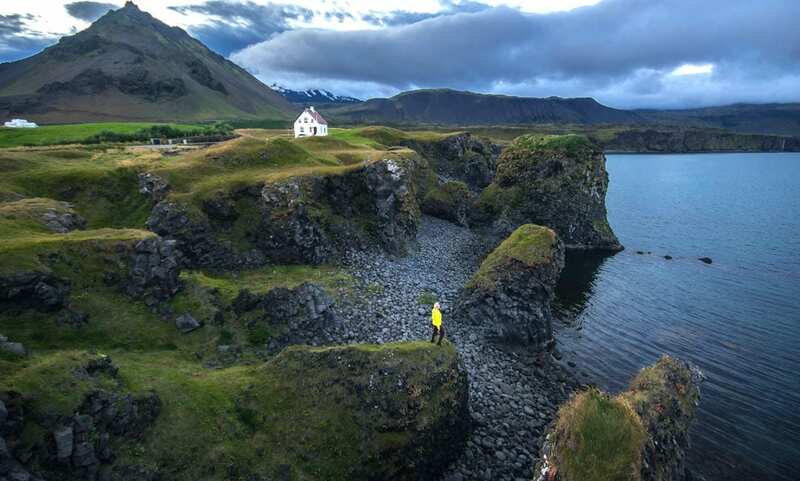 Visit Flatey the small Island in the middle of Breiðafjörður bay, drive into stunning fjords, take a walk on one of Europe’s biggest bird cliffs and go on an exciting RIB safari in one of the fjords. This trip is for those who are looking to experience real adventures and get to know Iceland in a different way than most travellers. When you arrive in Iceland at Keflavik Airport, your private driver will greet you at the arrival hall and take you to Reykjavik where you can have breakfast before your private guide will take you up to Hallgrimskirkja church tower where you will have a nice panoramic view over the city, Solfar sun voyager, Harpan concert hall, The Old Harbour and Bessastaðir the home of the president and show you around Reykjavik most popular highlights. 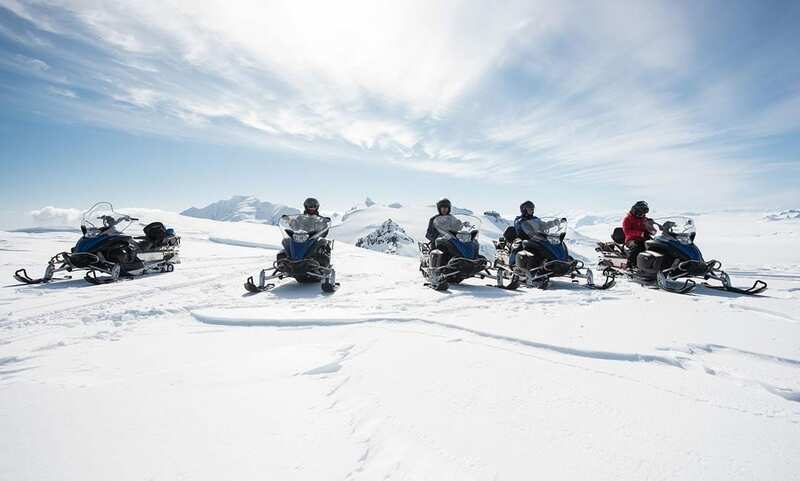 On this day you will start driving towards Borgarfjordur where you will drive up to Langjökull Glacier, the second biggest glacier in Europe on a 4×4 Truck to start a snowmobiling tour along the glacier all the way to the opening of a man made ice-tunnel and take a step inside the glacier. 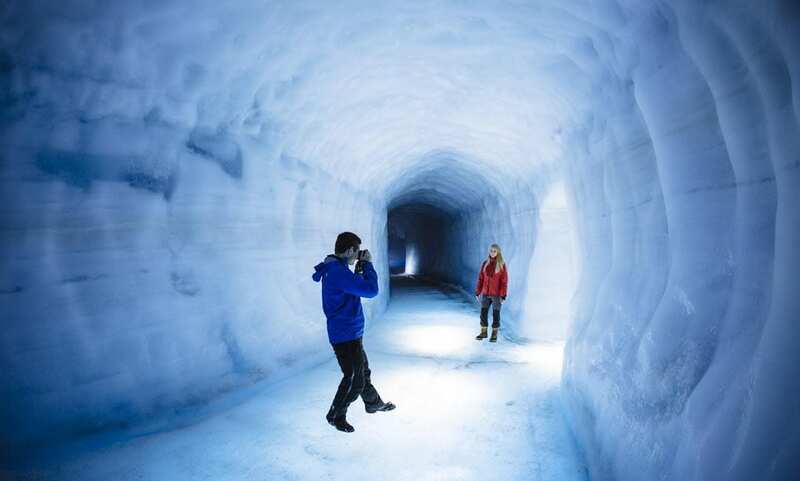 After taking a good look inside the glacier you will head back down to Húsafell, explore the area and take a nice walk in the nature before resting for the night. 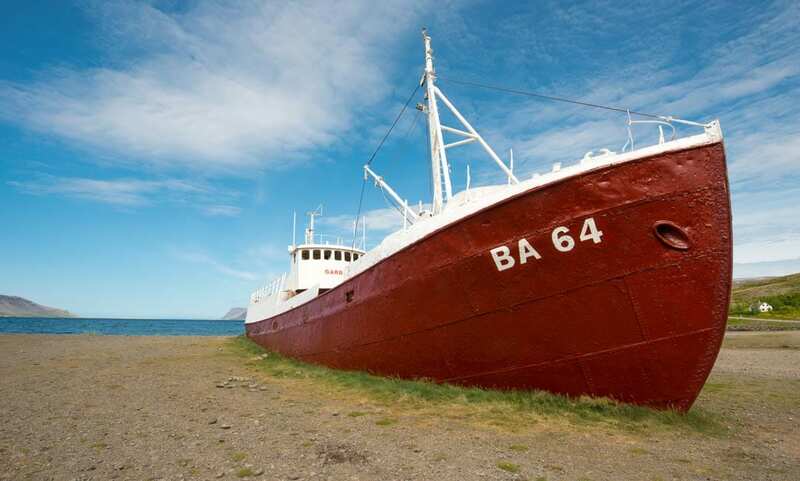 On this day your guide will pick you up at your hotel and take you on the Snæfellsnes Peninsula. 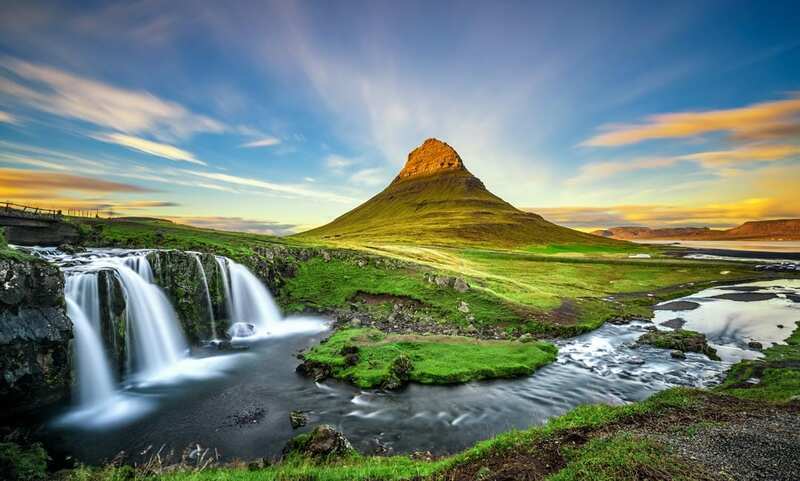 The Snæfellsnes glacier is a volcano and is believed to be one of the seven chakras(energy centres) in the world. Others stop at Snæfellsnes include the Gerðuberg belt of basalt columns and the beautiful cliff formations at Arnarstapi. 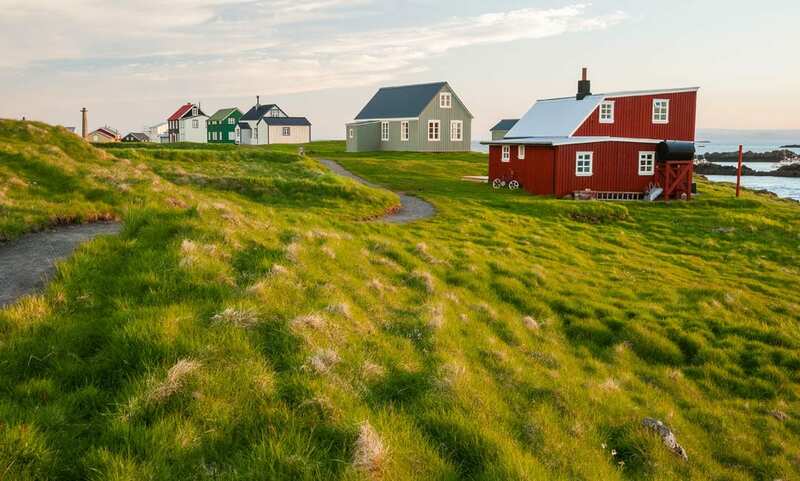 After exploring the peninsula you will head to your hotel in Stykkishólmur for the night. On this day you will visit one of Europe’s biggest bird cliffs, a home to birds in unfathomable numbers. 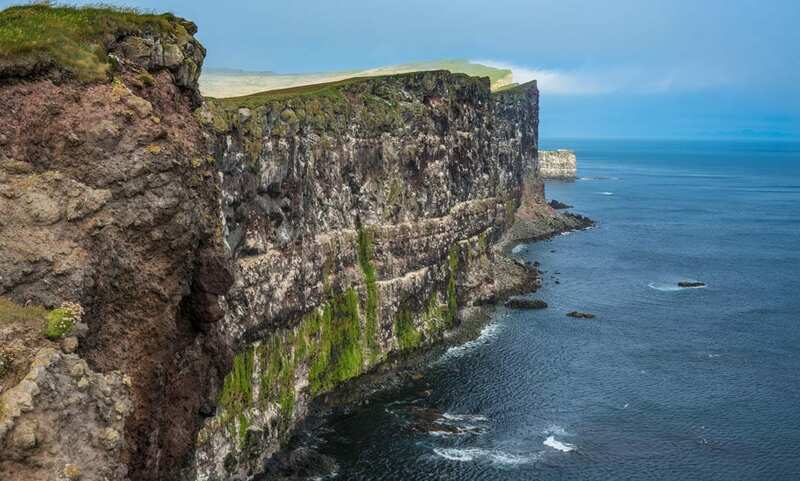 This westernmost point of Iceland is really a line of several cliffs, 14 kilometres long and up to 441 m high. And it’s as steep as it gets, dizzyingly so. Safe from foxes, the birds are fearless, and provide stunning photographic opportunities from close range. Bird photography for dummies, you might say. 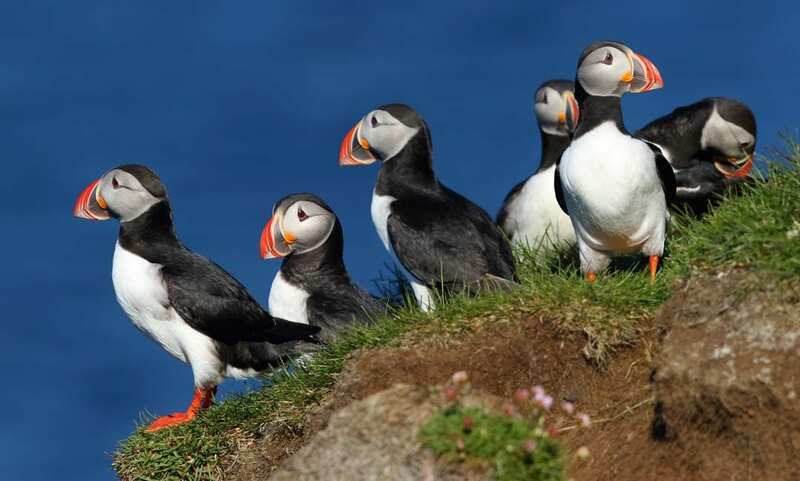 The puffins are particularly tame and are the ones frequenting the grassy, higher part of the cliffs. But look out, the edges are fragile and loose and the fall is high. 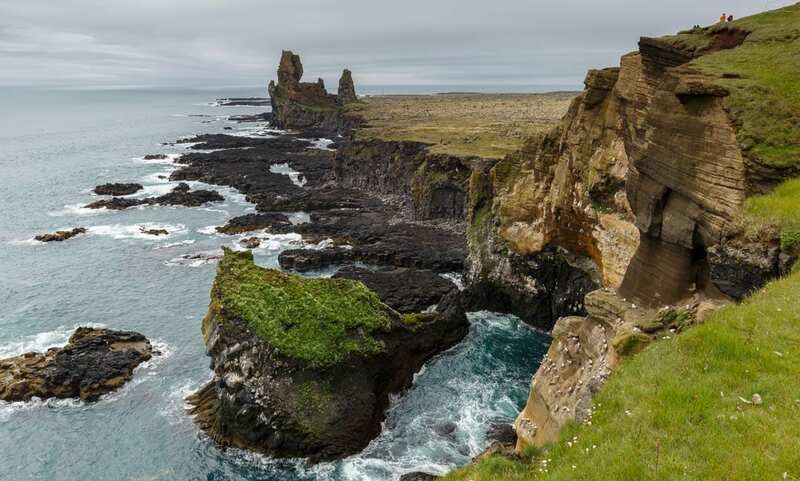 After taking a good look at the bird cliffs you will start heading towards Ísafjordur the capital of the Westfjords, on the way you will see stunning fjords and waterfalls. 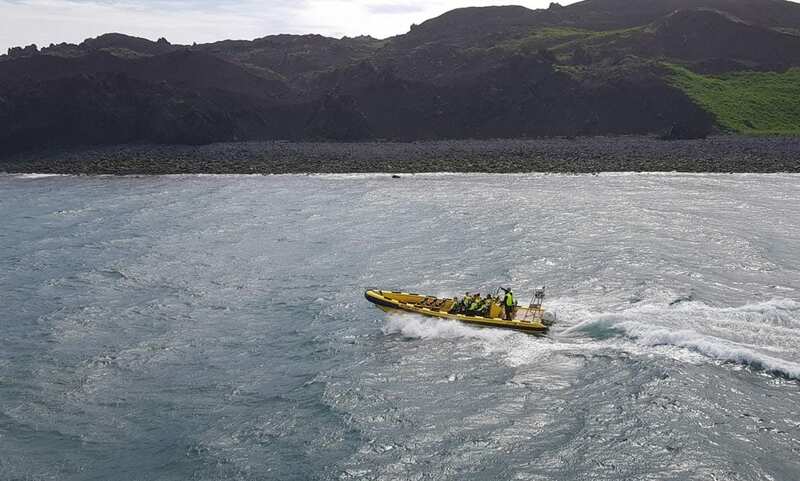 In the morning you will get to experience Ísafjarðardjúp bay and take a Rib safari. 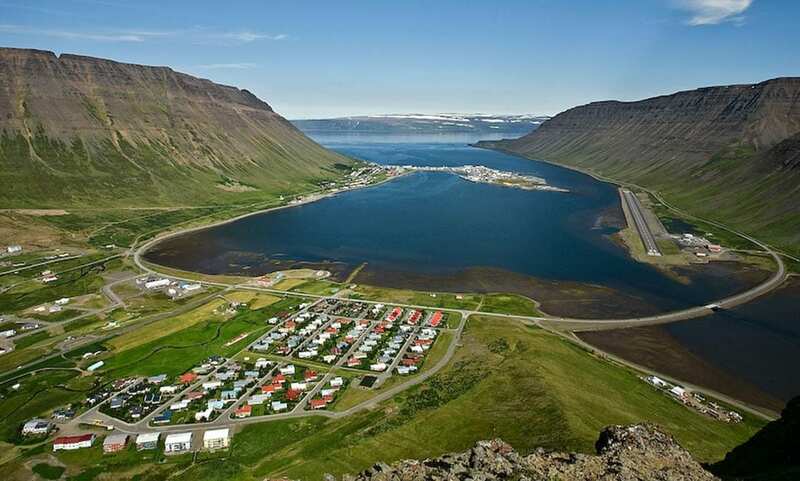 Sail into Ísafjarðardjúp, the stunning fjord region just off Ísafjörður and head to the island Vigur which, during the summer, has a large population of puffins, eider ducks and other seabirds. The locals will greet you with warm and light refreshments. You’ll have the chance to walk around the island and enjoy the beautiful landscape that surrounds the island. After all this you will board your domestic plane back to Reykjavik where you will be picked up at Reykjavik Airport and taken to your hotel. This will be your final day in our beautiful Iceland. Hence we suggest that you spend the whole day relaxing and discovering Reykjavik. Your hotel is located downtown near all the main shops and attractions. Therefore, it is very easy to wander around and explore at your own pace. On the last day you will be picked up by a private driver and driven to the Blue Lagoon to relax before your departure from Iceland. 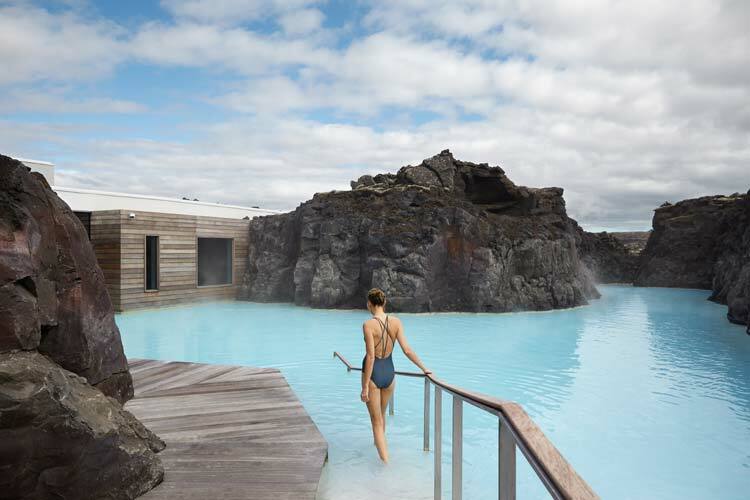 After relaxing in the lagoon and enjoying the spa amenities you will have a table reserved at LAVA restaurant located in the Blue Lagoon for a fine lunch before your private driver will take you to Keflavik Airport in time for your departure *You have to be at Keflavik airport 2 hours before departure.